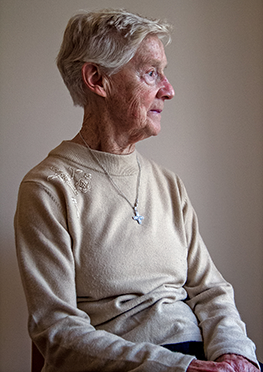 Transmission is a photographic essay exploring the lives, misconceptions and assumptions regarding missionary Sisters. The series of interviews that were conducted with each individual reveals the challenges that they encountered during their years abroad and their reintegration to Irish life upon their return. The portrait on the title page reached the final of Ireland's largest dedicated art photography portrait exhibition & competition, Expressions in 2017. It was printed to 1 x 2m and exhibited behind Market Square, Longford Town in July/August, 2017. Further info and images available at Expressions International Portrait Exhibition 2017.